Nicely renovated large farm house style colonial on a tree lined country road is now ready for you! Come see why at our open house this Saturday, October 6 from noon until 1:30pm. Large rooms and high ceilings provide a light and airy flow to this house. Great outdoor space with a wrap around farmer’s porch, flat yard and 3 bay garage. Updated kitchen includes granite counters, mud room/pantry, stainless steel appliances and propane cook stove. The living room has newly refinished parquet wood floor, a fireplace with gas insert, beamed wood ceiling and entrance to the deck. Dining room features newly refinished hardwoods, a pellet stove and is bright with multiple front windows! Master bedroom has a dedicated staircase and cathedral ceilings with decorative window. 2 additional bedrooms are also generously sized. NEW well! NEW septic! Great yard! Great commuter location! 3 bedrooms, large general living space and over 1700 sq feet! Can’t make it in person? 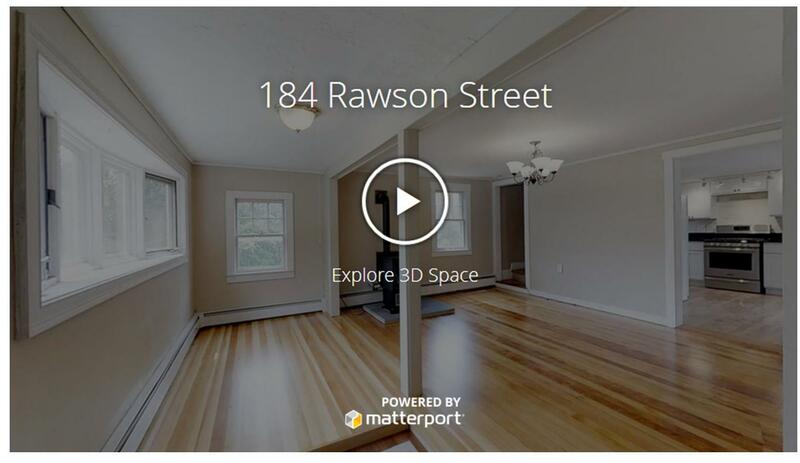 Check out a 3-D Interactive tour by clicking the photo below! Take a walk through this house right now!